We see temporary risk-off mode, with lower stocks and also crude oil this week, while dollar is showing some strength against commodity currencies at the moment. But the question is for how long. 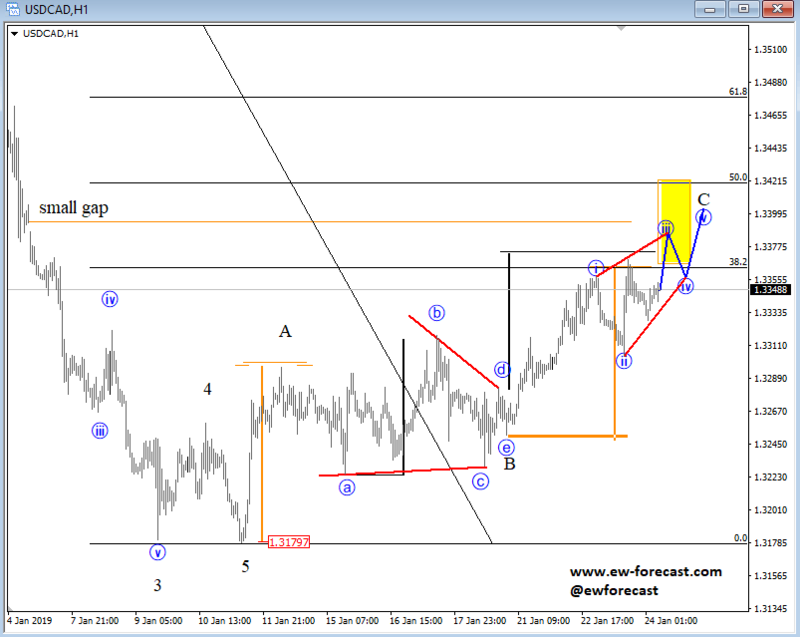 Notice that on USDCAD we see market in wave C of a corrective advance which is already approaching that resistance around 1.3400 where bulls may slow down and bears may wake up. 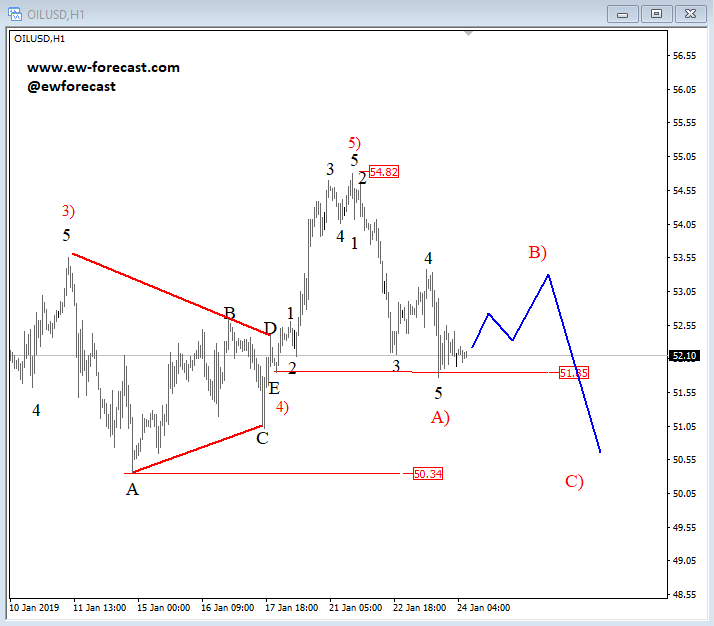 At the same time we see crude oil now in fifth wave of A) so a rally can follow into wave B) soon that may help to limit the upside for USDCAD as well. Interested in active FX or CRYPTO Elliott Wave labeled charts on a daily basis? Now its your time; we have Limited Offer; get a 14 day trial for 1€. Check our website at www.ew-forecast.com for more details. By using www.ew-forecast.com website, any services, products, and content contained here, you agree that use of our service is entirely at your own risk. You understand that there is a very high degree of risk involved in trading on the markets. We assume no responsibility or liability for your trading and investment results. The charts, and all articles published on www.ew-forecast.com are provided for informational and educational purposes only! By using the information and services of www.ew-forecast.com you assume full responsibility for any and all gains and losses, financial, emotional or otherwise, experienced, suffered or incurred by you.